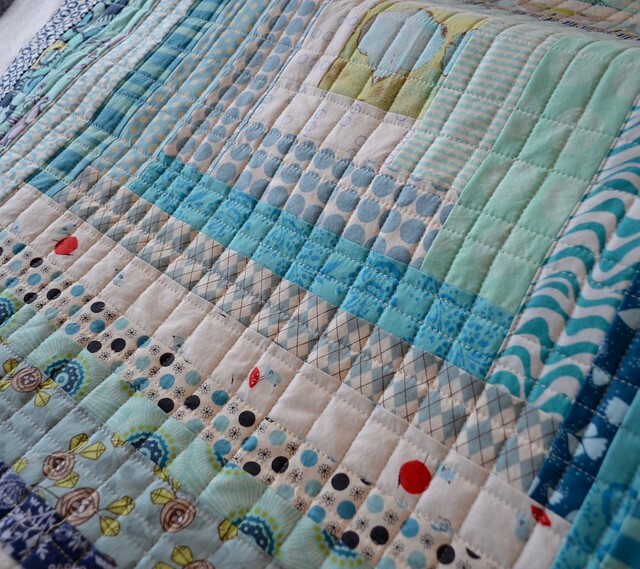 Leanne - She Can Quilt - Canada - me! Add one link for each Q1 finish. If you want to link a round up post of all your finishes, use that link to enter one of your finishes and then link the rest of your finishes separately. Please, only one link per finish, as your link is an entry into the randomly drawn prize draws. Please ensure that the photo or blog post you link up contains a link or reference back to your original Q1 list so that we can verify your entry. You have until the link closes on April 7 to link up your Q1 finishes. That means that if you want to squeak another one in at the last minute, you might have time. It also means that you have a week to get your blog posts or instagram/flickr photos ready for linking but try not to leave it to the very last minute in case of technical difficulties. Please become part of the FAL community. Check out the links of others and comment. We all need encouragement so let's applaud each other. The 2016 FAL Facebook page is here and follow us on Instagram @finishlong and tag your photos #2106FAL. The Q1 Finishes link will stay open from now thru April 7 - link up your finishes early and if you have a last minute one, add that one later so you don't miss out. The prizes will be awarded as soon as we can verify all the entries and do the drawings. We will post the winners on each host blog. And don't forget to start making your Q2 FAL lists as the Q2 list link opens on April 8. 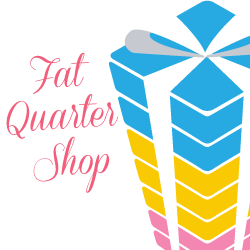 My friends at the Fat Quarter Shop invited me to participate in the Kimberly Sac Sew Along and I had to say yes. 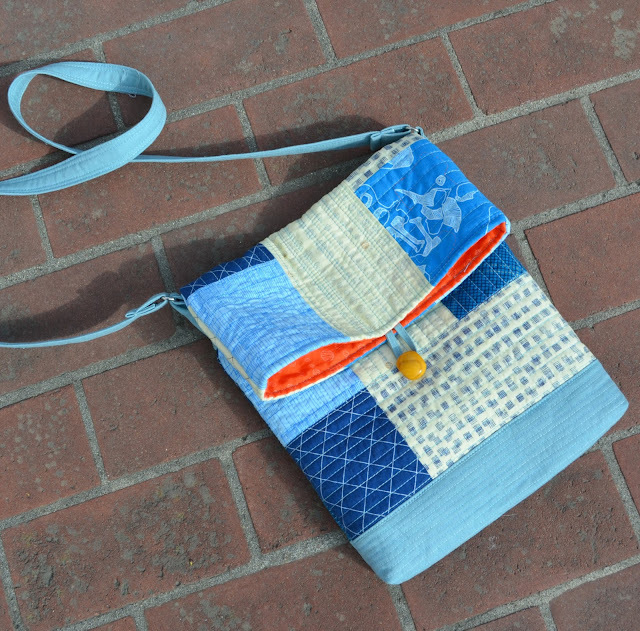 This is a lovely bag designed by Joanna Figueroa and it's easy to make too. You will find the pattern here. 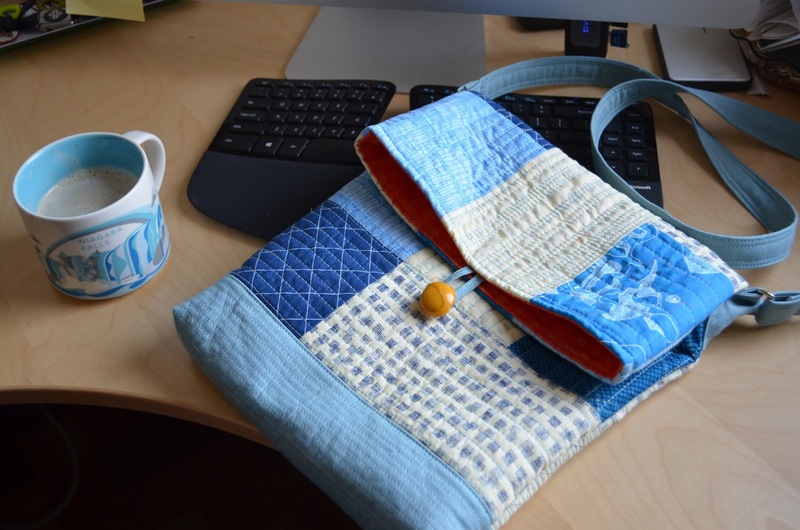 I decided to use some of my most favourite fabrics, all designs by Carolyn Friedlander from her Doe and Carkai lines. 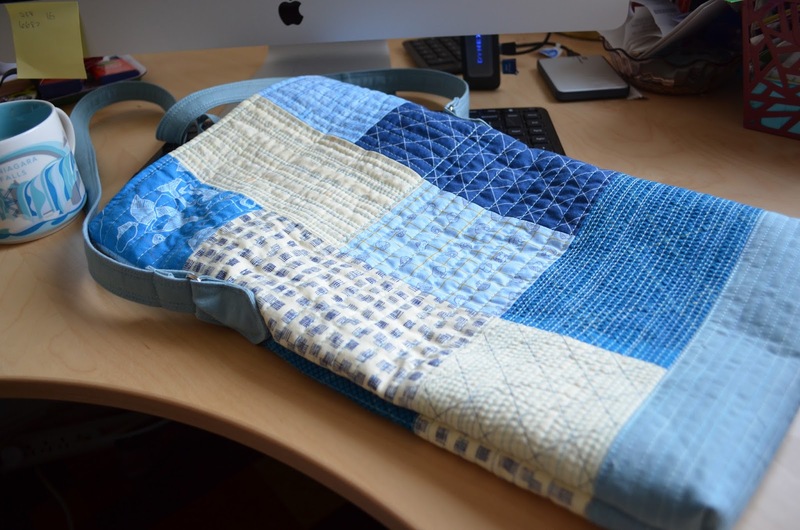 I quilted my bag very heavily, using my domestic machine. 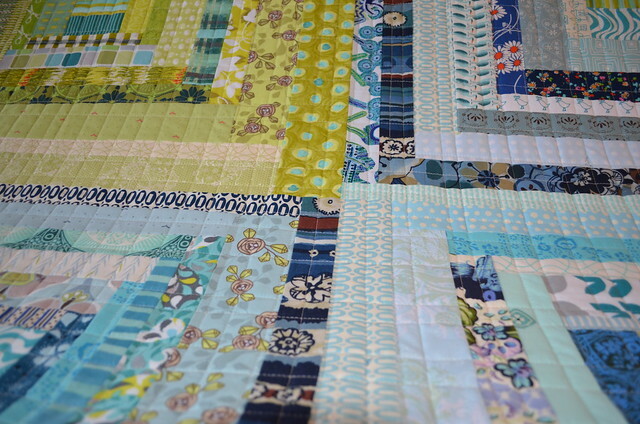 The quilting was fun, and with such a small project the dense quilting did not take long at all. 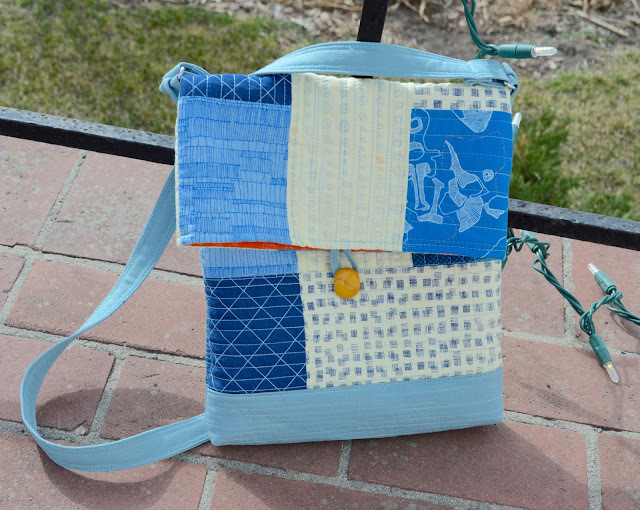 Kimberly and Joanna even made a video to show us all how to make this bag - the pattern is here. This bag is a good size for me, just big enough for my stuff but not so big to be really heavy on my shoulder. My one modification was that I skipped the clip on hardware for the strap as I did not have any on hand. 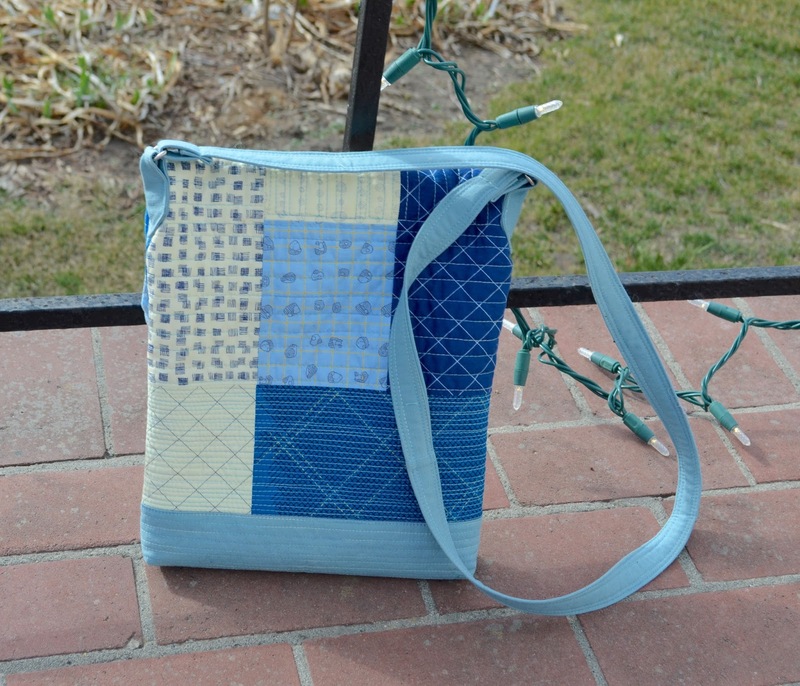 Otherwise, I am very pleased with this bag just the way it was designed and I made it in accordance with the pattern. A number of bloggers are part of the Kimberly Sac Sew Along, you will find links to all of them on the Fat Quarter Blog today - well worth checking out. This is one of my blocks for Hillary - Entropy Always Wins - for Bee Sewcial. 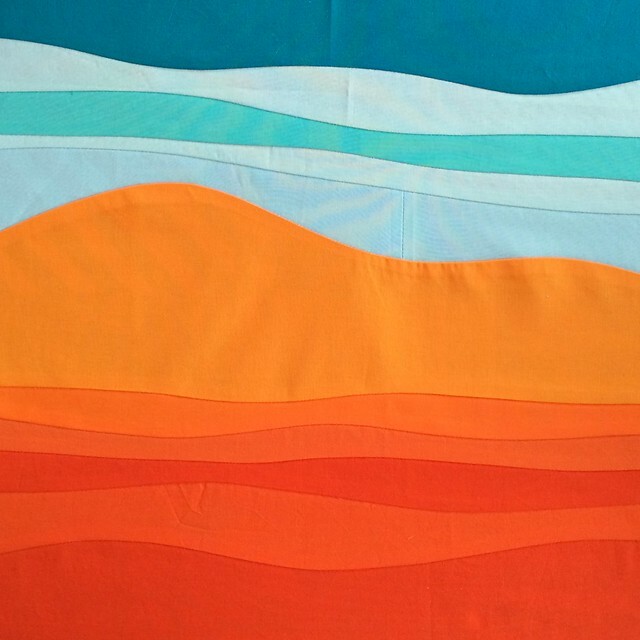 Hillary asked us to explore the theme "layers" and she gave us these beautiful colours to work with. You can read her inspiration post here. With this block, I just wanted to see if I could make that blue triangle sink to the bottom. I love improv triangles, and this one is so saturated. When Hillary asked for layers, I kept thinking about the mountain skyline that I see from the Gulf Islands looking towards Vancouver - layers of landscape. And this is my other block. I just love this bee, it is always fun. 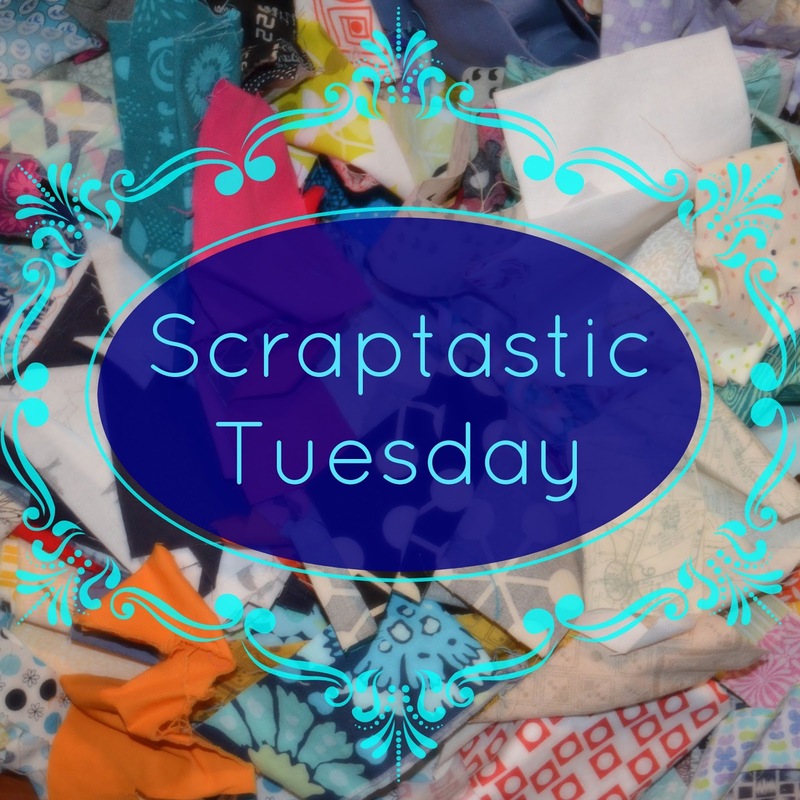 Before I award the winners drawn randomly for the Scraptastic March link up prizes, I am excited to share that I quilted my giant log cabin scrap quilt on the weekend - just as I set out to do last Tuesday. 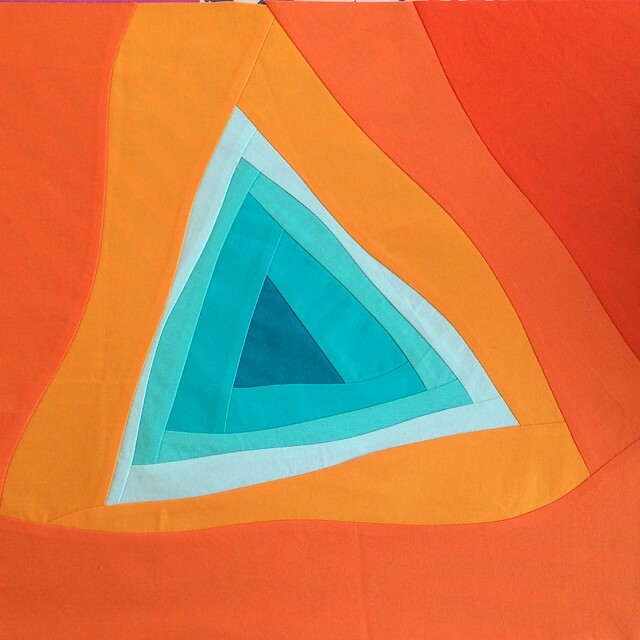 I set my "word of the year" (and I generally don't do things like words of the year but this year I did) to be "intention" and maybe setting an intention, like one does in a yoga class, works for quilting for me too. I just took this that photo, above. The quilting is finished and this week, my intention is to add a scrappy binding, wash and present this quilt as finished - who knows, it might work two weeks running. I wanted to share the process of doing the cross hatch quilting on a long arm. I am sure that there are other ways to do this but here is what I did. First, I loaded the quilt as I normally do. I attach the backing to both the back and front bars and then I float the batting and the top. I baste the quilt at the top - which means that whatever the quilting I plan I stitch a line along the very top of the quilt top once I have it centred in place. But I have never basted the sides, despite having been taught to do so. I am just too impatient to get quilting and I forget if I try to baste the sides as I roll the quilt forward as the quilting progresses. Instead, I regularly check the quilt top's placement as I move down the quilting. Since my quilts come off the frame nice and square, I assume that my approach works, for me at least. I quilted straight lines - well they are drawn freehand but they are reasonably straightish as the long arm wants to make straight horizontal lines and so if you just don't over-steer so to speak, mostly straight lines result. I tried to make them follow seams and other reference points so that when people look at them their brain is fooled to see them straighter than they actually are. 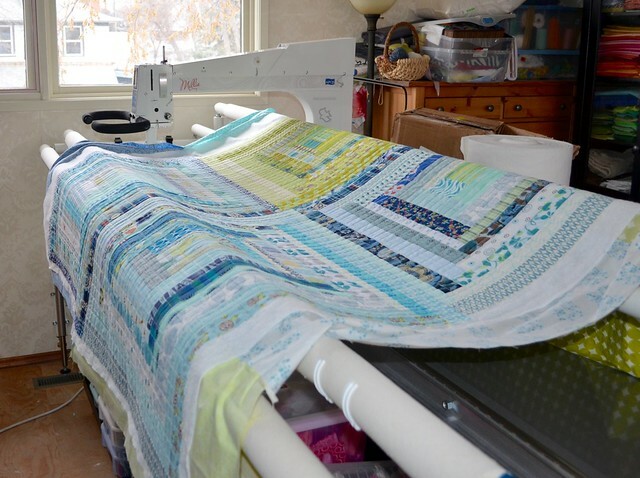 Knowing that first I could never freehand a perfect grid, and secondly that there was a good chance that when I reloaded the quilt for the second time of quilting it might not be as square on the frame, I made the spaces between the lines vary from about 1" to 2.5". I love the industrial look (think warehouse, exposed brick, concrete floors, etc.) this creates. I decided to use a creamy coloured King Tut 50 wt 100% cotton thread from Superior Threads on both the top and bottom of the quilt. 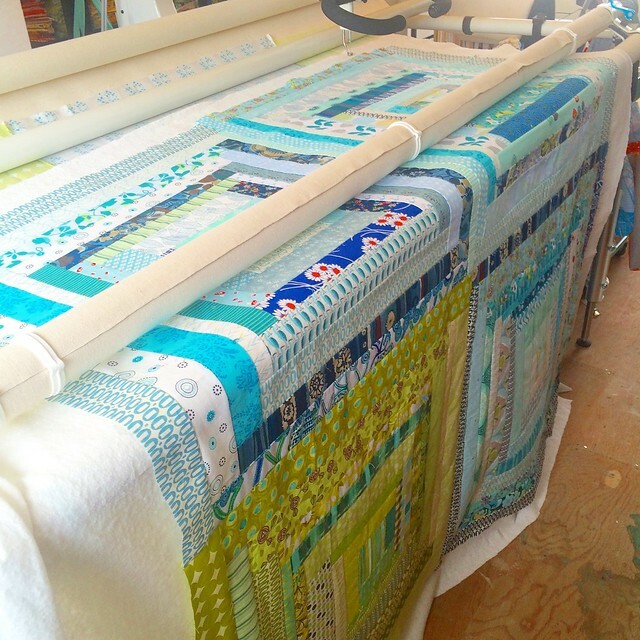 Once the top was quilted I took it off the frame, turned it so the quilting lines ran vertically and loaded it again. You can see in this photo that I use Leader Grips to load my quilts. Basically, a small plastic rod is sewn into the leader fabric and then one uses a plastic piece to snap on the end of the fabric and hold it in place. These are so much faster than pin or thread basting. 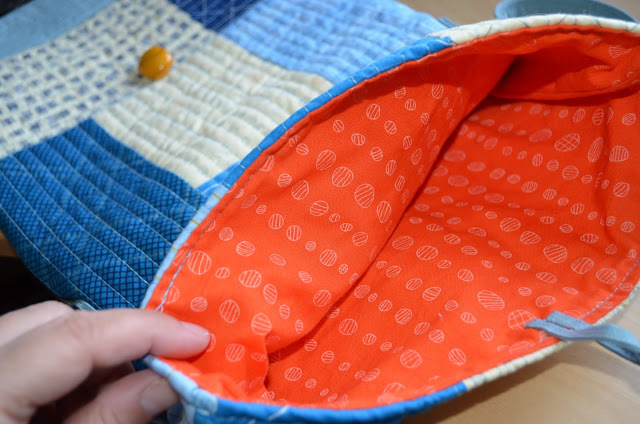 You can also see that when you reload a quilted quilt, there is no option to float the quilt, it gets rolled, in all its bulkiness, around the bar. One issue I knew I would face is that I made the back incorrectly. I sewed it together wrong so that there was a lot of extra fabric in one direction but almost no extra fabric in the other direction. 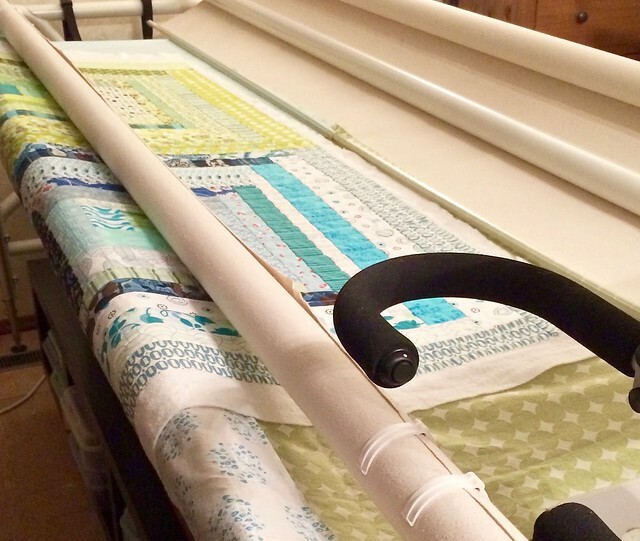 It is not hard to load the quilt with so little fabric but it is more tricky to quilt so close to the plastic piece as it catches on the long arm machine. But it worked out and next time I will pay more attention or even better, fix the back I know is pieced incorrectly. After reloading the quilt, I again quilted horizontal unevenly spaced lines across the quilt, trying to follow seam lines where I saw them. It took about the same time to quilt the second time. So, that's my scrappy contribution today. I've been enjoying revisiting these fabrics, some are from my earliest quilts. I'm still trying to decide on the binding colour - black/grey or bright pink scraps, we shall see. We will be emailing all of the winners today. Thank you for sharing your March scrappy inspiration and please plan to join Nicky from Mrs. Sew and Sow and I again on the second Tuesday in April - April 12 - for the next Scraptastic Tuesday link. 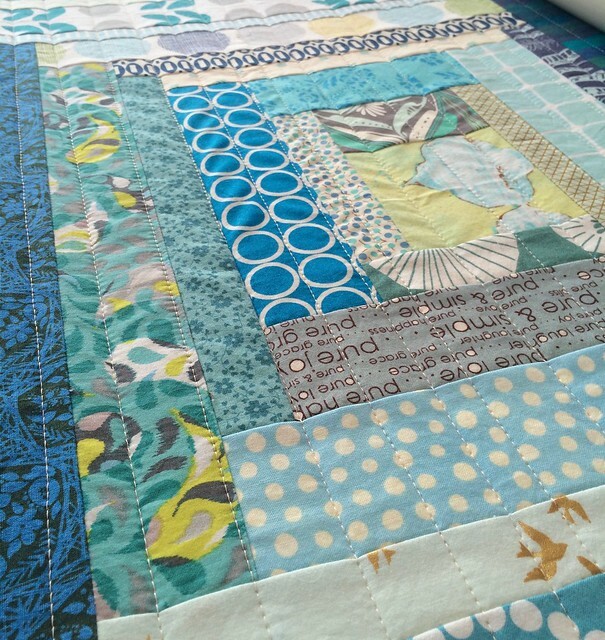 Last Call - Fabric Spark Blog Birthday giveaway!